For many restaurant owners, the reason they got involved with the restaurant business is that they wanted to share family recipes with the world, they enjoy feeding people, or love food. There’s a good chance that one of these reasons is why you decided to get involved with owning your own restaurant. That doesn’t mean that you can afford to ignore ways to make your business more successful as it’s still a business after all. Being successful in online food ordering is a good way to improve on the success of your business. This guide will go over the why and hows of adding online food ordering. You may be resistant to the online food ordering trend because what you’ve got going for your business already seems to be working well enough. It can be easy to think that rocking the boat may cause more harm than good when implementing new changes, and this can cause some resistance. 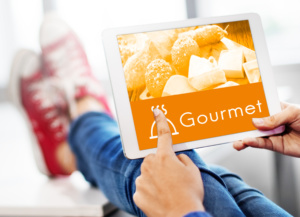 The truth is that online food ordering is getting more and more popular. People love the convenience and ease that comes from being able to order without talking to a person or having to stop in for their order. This has become the norm rather than the extreme, and this trend is not going away. Embracing this trend as a new method of reaching your customers, you’ll start to garner the success that other restaurants are seeing with online food ordering. Some customers may skip using your restaurant once they see that you don’t offer this service even if they usually enjoy your food. Don’t let that happen to your restaurant. There are a number of steps that will need to be taken for online food ordering to be implemented for your business. The first is that you need to consider how this will fit into your current systems. You may find that you need to update your website or the internal system that you use for orders. This can assist you in streamlining the way that your business runs as an unexpected bonus. Next, you’ll have to consider how you’ll be putting this new service in effect. You may already have a website for your business that can have online ordering added to it for bringing in customer orders, but not every business has a website yet. This can lead you to get your website set up with information for a customer looking to dine in or takeout. You’ll have to consider what information you’ll want to be displayed. This includes descriptions of your menu items that are being offered as well as high-quality images. Your provided information will all be used to create a high-quality menu that’s user-friendly. Just implementing online food ordering for your business is not going to be enough to change your restaurant’s business. It’s necessary that you do some leg work to ensure that you’ll start seeing success with online food ordering. You may have a few orders come in from time to time without having to do more than just implementing your new system. Marketing your new online food ordering service is the way that you’ll see success with this venture. Let people know about it, and the orders will start coming in for your restaurant. You’ll find that your current customers will enjoy the convenience, and you may even find that new customers discover your food thanks to your efforts in getting people aware of it. Be sure to talk about it on your website, around your restaurant locations, and online through your social media or other sites. Find creative ways to bring attention through coupons and giveaways. Often, people come for the discounted item and stay for other tasty morsels on your menu. One final note on finding success with your online food ordering. It can be beneficial if once your ordering system is up and running that you play around with it. Create some fake test orders to see how easy it will be for your customers to use the system, and make sure that everything works as you want it to work. You may find that an idea seemed good, but wasn’t implemented as you’d like or something may work better. Testing is the best way to ensure that everything is in order. 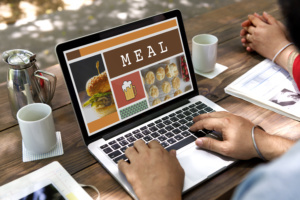 Once you’ve decided that you want to implement online food ordering for your website, it’s time to find a service that can help you set it up efficiently and run it. Orders2.me is an excellent starting place. We’re ready to help guide you through the process of giving your customers the option of ordering virtually. Contact us today with any questions or concerns that you have about this process, and our experts will be happy to go over it all with you.